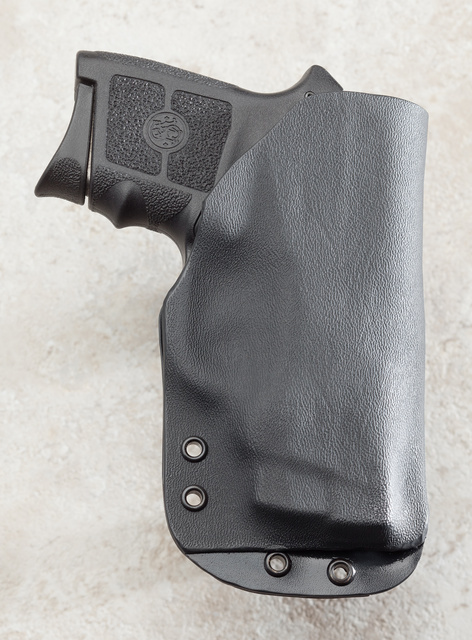 This entry was posted in holster, pistol, weapon and tagged 380ACP, kydex, S&W Bodyguard. Bookmark the permalink. I like the gun! Probably another one not allowed in CA though. Hope you have it still when I visit. 🙂 That is a cute gun! ‘Twould be nice if they posted a few of their products on their web site. Another friend is gong to help with that. I took a few photos last night, will post more over time. My spouse got moderately excited when she saw this as a small of the back holster, seein as how she has a bodyguard .380. 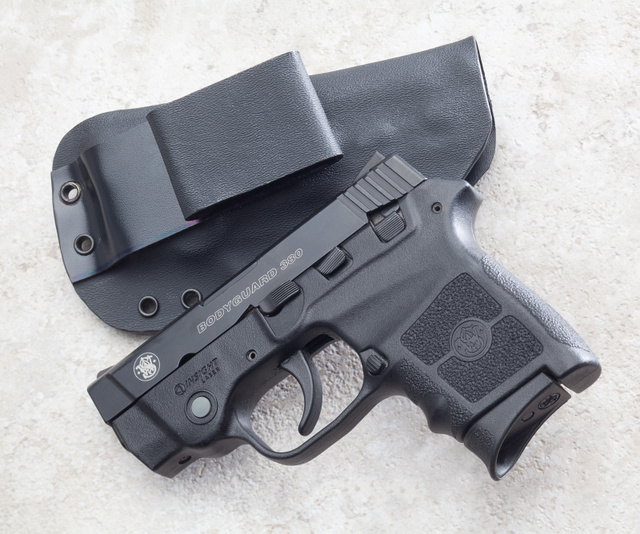 She usually carries with a looper Flash-bang, but she’s still looking for other carry options. Have her talk to Chris, then. This one was designed for his own wife, so it fits feminine outlines.